You are here: Home / Crafts / Halloween Felt Patterns That Are Cute, Quick and EASY! Are you looking for Halloween felt patterns? My favorite pattern designer Shelly has made the cutest Halloween felt patterns for dolls. Do you like felt craft projects? 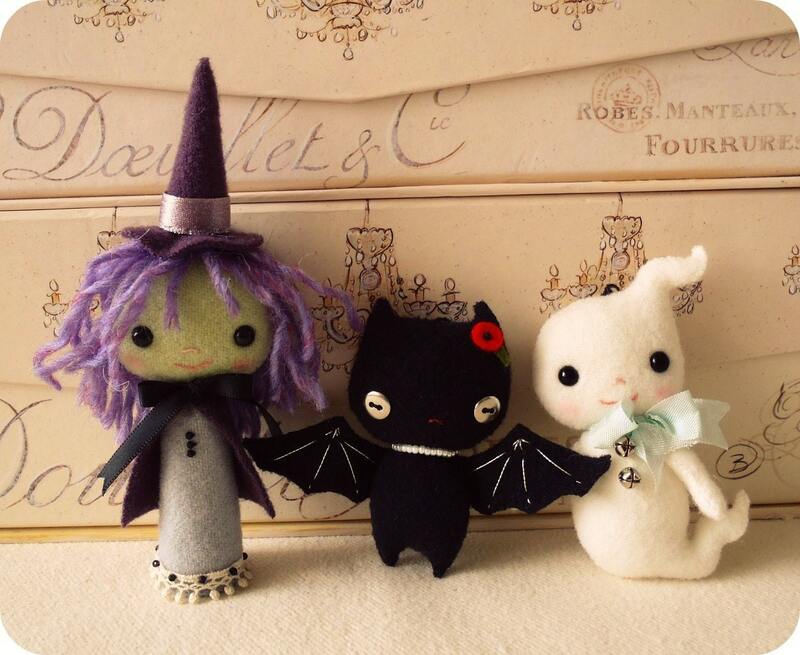 The designer Shelly has made the cutest Halloween felt patterns for dolls. Shelly’s tag line is Sweet, easy patterns to inspire a joy of sewing. I love felt crafts and sewing. I think you will love my favorite Etsy shop for felt doll making patterns. The best part is the patterns are the price of about a cup of joe. You can’t beat that! In the handmade felt pattern shop I spotted the cutest Halloween pdf patterns for felt crafts! I want to grab one or two of these mini felt doll patterns. 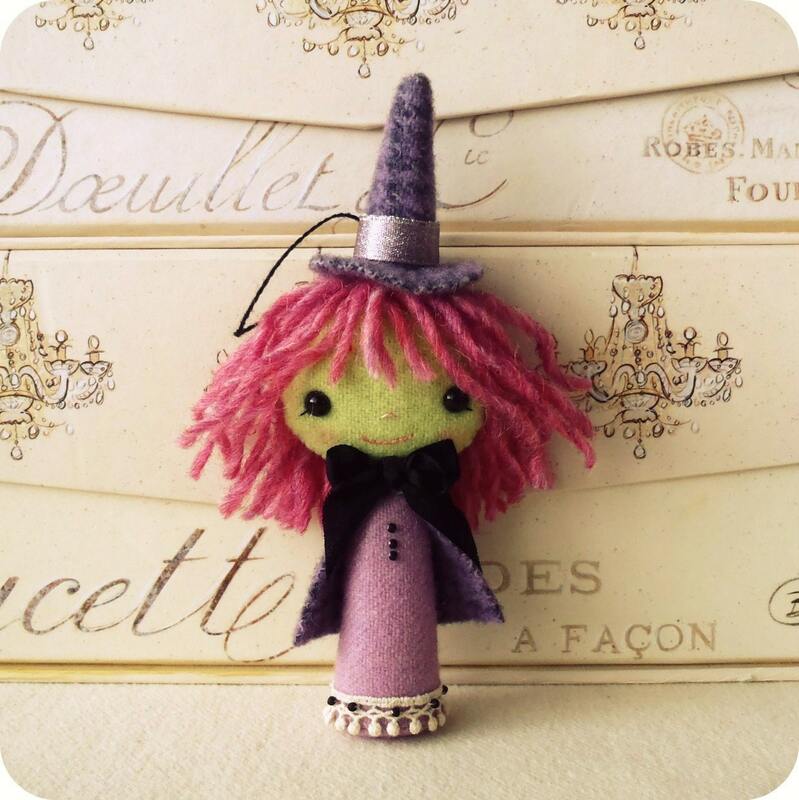 Wouldn’t it be fun to make a felt Halloween Witch, felt bat or a felt ghost for Halloween? What’s great about these felt pdf patterns is that they are instant downloads after purchase. Just pay, download, print and start felt crafting. Try a felt pattern individually or you can purchase a felt pattern for all three halloween decorations, as shown above. The pattern is for all skill levels. The finished size of the felt dolls are 4-6 inches. The pattern is for hand sewing and embroidery each pattern comes with templates and directions to make a felt craft project. Nothing is complicated or hard to make. You know what that means? These are all easy felt crafts to make. Shelly has expanded her shop since I first wrote about Gingermelon Shop on Etsy. She has 13 Halloween Felt Patterns to make for Halloween decorations and Halloween ornaments. 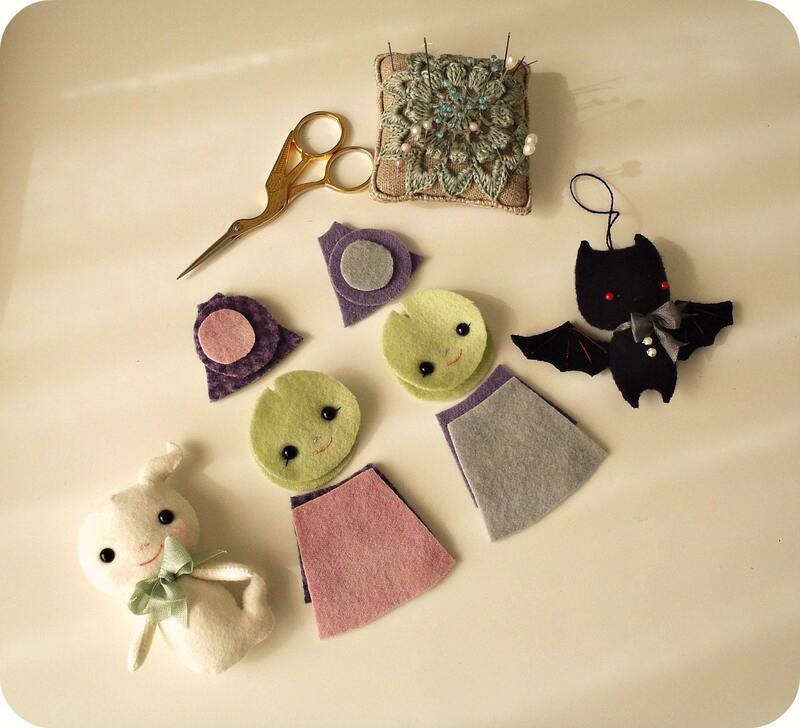 Maybe you’d like to try her Halloween felt pattern for Itty Bitty Vampire Kitties? Or this set of felt Halloween ornaments. I’d show you them all but, why not just pop over to her shop to see all her felt patterns to make. I think the witch may be my favorite but, my daughter Sammie is loving the bat! Guess you can guess what pattern we’ll be getting? Do you need felt supplies to make your crafts? If you rather shop on Amazon my favorite wool felt that is thick and soft. Have you worked with felt? Do you like making seasonal felt crafts? « Inspiration Spotlight LInkup Party #317 Crafts, DIY, Decor and Recipes….